Ideas for school improvement include Blended Learning Models that usually involve a combination of the conventional face to face classroom instruction with an increased amount of computer facilitated activities. According to those who advocate Blended Learning, this is an extremely beneficial technique, for it makes for a better integrated educational approach for teachers and students alike. Previously, technology related teaching materials merely supported the conventional face to face teaching methods. The Blended Learning Model has enhanced the role of technology when it comes to education and also includes progressive ideas for school improvement. As a simple example, let us think about a course and the associated classes which would be scheduled four times a week for two hours each. If a blended learning approach were to be adopted, the same course could be rescheduled in such a way that the instructor and students meet face to face once a week, and the rest of the curriculum would be covered through online facilitation and learning. In other cases, there could be a larger dependence on technology within the classroom environment itself. 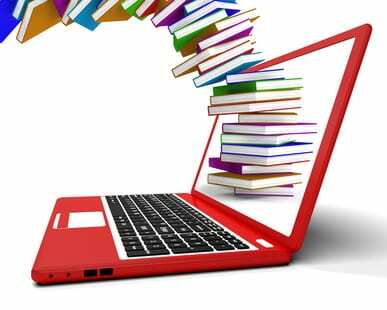 Educational activities could be planned in such a way that there would be more exposure to online resources, communication could be held through social media facilities, and distance learners could also more easily interact in a classroom or an alternative learning environment. Blended Learning can be based on various different approaches and ideas for school improvement. Depending on the instructors, facilitators, and students who participate in it, blended learning can be conducted in several forms. Presently, there is no single methodology other than what has been stated above, that can be used as precise definition of blended learning. The various terms used alternatively for this type of educational approach include not just ‘blended learning’ but also the ‘hybrid’ and ‘mixed mode’ approach. A distinct benefit of blended learning is its link to ideas for school improvement with a unique and differentiated style of instruction. It involves a tailored planning of instruction, more intimately taking the needs of students into account. Instructors are better able to glean the learning styles, interests, as well as the aptitude of individual students. Once these have been better understood, the instructors can determine how to devise a curriculum, what content to include in it, what learning activities to use to reinforce a lesson, which products would be most effective in instructing, and what learning environments would be the most conducive for students to learn in. By adopting the blended learning approach, educators and instructors certainly provide a different learning environment where students are enabled to work more collaboratively, even in online communities. Additionally, teachers can also make use of learning material off the internet that would otherwise be difficult to avail. Another benefit of blended learning is that allows for better pacing a course as well as student participation. In a lot of blended learning arrangements, students can select to study at their own whenever they what and that too at their own pace. In case he or she is unable to physically attend a class, it is possible to review the material online, at the same time as other students. This ensures that the student remains on track and does not fall behind, especially in any unfortunate situations like prolonged illness or injury that keeps him or her away from physically attending a class. In addition to this benefit, the self-study modules also enable students to go back to reviewing any concept of the course or even work ahead of the rest of the class. All in all blended learning is an innovative model for learning generating positive ideas for school improvement that can be utilized for every age group easily.